As a Sports Chiropractor in Tigard, I see a decent amount of the local population’s athletes. And whether an athlete or not, most patients respond to more aggressive type of treatments. 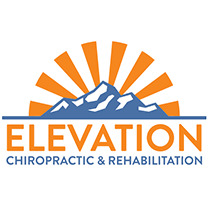 This is compared to Tigard Chiropractors who perform more passive and basic chiropractic care. And when it comes to shoulder pain, one of the treatments we utilize at our clinic is something called Instrument Assisted Soft Tissue Mobilization or IASTM. Below there’s a quick video of what this looks like. There’s a 30 second intro, so if you just want to see the muscle scraping, go just under a minute in. Using Chiropractic Instrument Assisted Mobilization for shoulder pain may be a little aggressive for some, in which bruising is common, as well as soreness for several days, but it can really change a lot of things. Our muscles can develop small adhesions in them, which is more or less scar tissue, that changes how the muscles work. Instead of being able to bend and stretch like a normal healthy muscle, the muscle develops little balls or lumps in it. Any chiropractor Tigard will tell you that in the shoulder muscles this can lead to shoulder pain, and Instrument Assisted Mobilization helps break up those small balls or lumps. Depending on how bad an area is, anywhere between 3 and 8 minutes is usually applied to a muscle group. For shoulder pain, using Instrument Assisted Mobilization to the whole rotator cuff and upper shoulder area really helps with relief. Neck pain starts to develop when the head gets used to being forward. This causes the shoulders to follow, so we get the sagging shoulders, which continues to contribute to neck pain by reinforcing the bad posture. We can correct this with chiropractic adjustments, but there also needs to be a good home regimen of self treatment and corrections to how you sit. Unfortunately it’s not quite as easy as mom used to say. “Sit up straight” doesn’t really fix the problem. Simply trying to sit up more erect will only last for about 2 minutes, then everything will go back to the way it has become used to. You need to find out exactly what’s wrong and get a tailored plan on how to fix it. At our Tigard clinic we deal with business professionals all day long who have this problem, but have found a very reliable way of treating it. This leads to long lasting results and empowers the patient to be able to do work from home instead of relying on a visit to the chiropractor every week.